Hotel Carmel is an exclusive and comfortable apartment hotel located in the district of Miraflores, close to shopping, major tourist and financial of Lima. For your convenience, we offer the services of a first class hotel in a warm, cozy and private. 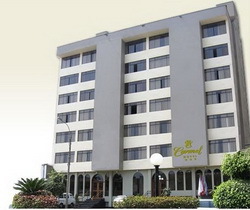 Its excellent location in the district of Miraflores offers a comfortable and cozy environment for your business meeting or pleasant stay, a few blocks from the Circuito de Playas "Costa Verde", close to major shopping malls, business and tourism.40 minutes from the International Airport Jorge Chavez. "